Figuring out how to park in New York City isn’t easy. The best way to cut down on parking costs is first to avoid paying the $14 tolls when you enter Manhattan, Brooklyn or Queens from a bridge or tunnel. If you insist on parking in Manhattan for convenience be prepared to spend at least $30 per day on overnight parking. We suggest if you plan to park in Manhattan book a parking spot ahead of time and prepay to avoid the hassles of driving around in traffic and trying to compare rates. The cheapest parking in New York City is outside the city in the suburbs near train stations to NYC. This is a good option for discount parking if you’re driving and want to find long term overnight parking near NYC. The NJ Transit Ramsey 17 Garage has parking for $2-$4 per day inside a multilevel garage with 1,000 spaces. The train ride into New York City’s Penn Station will take over an hour. Other options for cheap parking in NYC is to look at garages near Yankee Stadium in the Bronx. Then you can ride the NYC subway to your destinations in Manhattan. Parking is usually $6 to $8 per day if you park near the train station at White Plains, or park near the Scarsdale train station north of NYC off I-95. For most travelers we suggest looking at park and ride options from NJ to NYC because it offers the best blend of a short commute and parking fees. For most travelers who are driving to NYC and want to find New Jersey parking the best option is to find a garage near the PATH subway. It only takes 10 minutes to commute into New York City on the PATH subway. The PATH runs nearly 24/7 and costs $2.75 to ride. There are parking lots near the Newark PATH station, Journal Sq. Station, Exchange Place Station, Newport Station or Hoboken Station. The next best NJ parking options are either parking near the ferry. The best ferry park and ride option is to park at the Port Imperial garage near the NYC Waterway Ferry landing. Parking is $14/Day. Finally, the cheapest parking option in NJ is to find a garage near the NJ Transit trains. The Ramsey 17 Garage has parking for $2-$4 per day inside a multilevel garage with 1,000 spaces. Its easy to park and ride a train from New Jersey to New York City. The fastest and most affordable transit from NJ to NYC is the PATH subway. The subways costs $2.75, runs nearly 24/7 and only takes between 10 to 15 minutes to get to NYC. We suggest booking a parking space in advance and comparing rates at these PATH stations; Newark PATH station, Journal Sq. Station, Exchange Place Station, Newport Station or Hoboken Station. Connecticut is connected with NYC by the Commuter railroad. Much of the northern red line from NYC follows I-95. We suggest taking I-95 until White Plains or Scarsdale just over the CT border. Here you can find parking garages with daily rates around $6 to $8. From there you can catch a train into Grand Central Station. In order to guarantee a spot we suggest that you prepay for a parking spot at either a White Plains garage, or Scarsdale. By parking in Newark compared to NYC you can save $30 even if you are parking overnight. There are several parking options in Newark near the PATH subway and NJ Transit station. Parking near Newark’s Penn Station usually costs $20 per day. Most travelers try to prepay for parking in order to be guaranteed a spot and save the hassle of driving around downtown It will take 20 minutes to commute from Newark to Midtown Manhattan. If you’re looking for parking near NYC and coming from PA we suggest looking at two options. Either A) park near the Ramsey 17 station and pay $2-$4 per day with an hour commute into NYC, or B) park closer to the PATH subway that connects NJ with NYC. The NJ Transit Ramsey 17 Garage has parking for $2-$4 per day inside a multilevel garage with 1,000 spaces. The best hotels with parking in NYC are located in Brooklyn, Queens or in Jersey City near the PATH subway. Here is a map of all the hotels in Brooklyn and Queens that have free parking and are also near the NYC subway. Here is a map of all the NJ hotels that have free parking and are also within walking distance to transit from NJ to NYC. One of the best ways to save when visiting NYC is to look for a cheap hotel in New Jersey with free parking. There are several cheap and reliable hotels that offer shuttle service to NYC, or are also within walking distance to the subway to NYC. Here is a map of all the NJ hotels with free parking. Some of the best hotels for driving to NYC from I-95 north are hotels that are near train stations and have free parking. Here is a map of hotels with parking in CT and the suburbs of New York with parking and near a train station. One of the best options for parking overnight or 24hr parking in NYC is the Port Imperial lot near the ferry landing. Parking Garage at Port Imperial near the NY WaterWay ferry to get to Manhattan. Parking according to NYWaterWay.com is $16 per day for an indoor lot. A ride into Manhattan via the ferry only takes about 10 minutes and travelers can land at three locations. Those locations are; four blocks short of Times Square on 39th street, Peir 11, or at the World Trade Center near the Financial District. The ferry is popular because its a great way to see the NYC skyline. If you’re planning to visit NYC and plan on staying in Manhattan parking will become the second most expensive park if your trip. It costs $14 in tolls to get a car into Manhattan, and parking averages $30 per day. Therefore, travelers look at parking outside NYC when visiting and commuting in using public transit. This can save over a hundred dollars if you plan on visiting NYC for a 2-3 nights. We generally do not recommend parking in Manhattan unless you need to get access to your car during a trip to NYC. If parking in Manhattan is a must, people are finding that comparing parking rates ahead of time and prepaying for a parking spot can save money and stress. 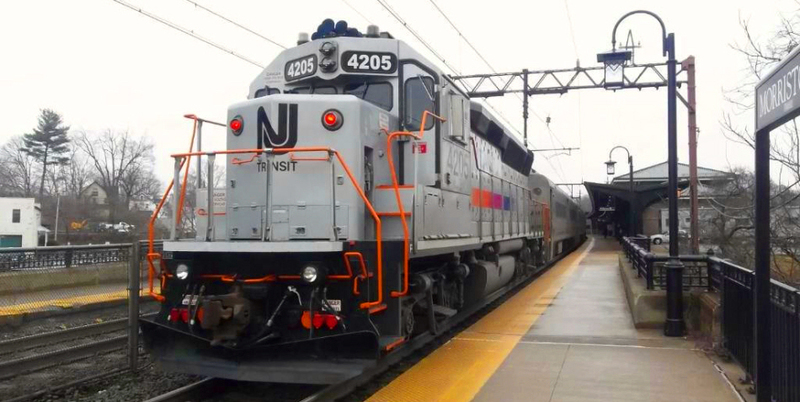 For travelers driving to NYC and looking for long term parking we suggest that you take advantage of the Ramsey 17 parking lot in North Jersey about an hour outside of NYC via the NJ Transit train. If you are driving from the north along I-95 to NYC we suggest looking into the White Plains garage or Scarsdale garage that are also near the train to NYC. These options usually cost between $4 and $8 per day compared to the average rate in Manhattan which is $30 per day plus tolls for bridges and tunnels.